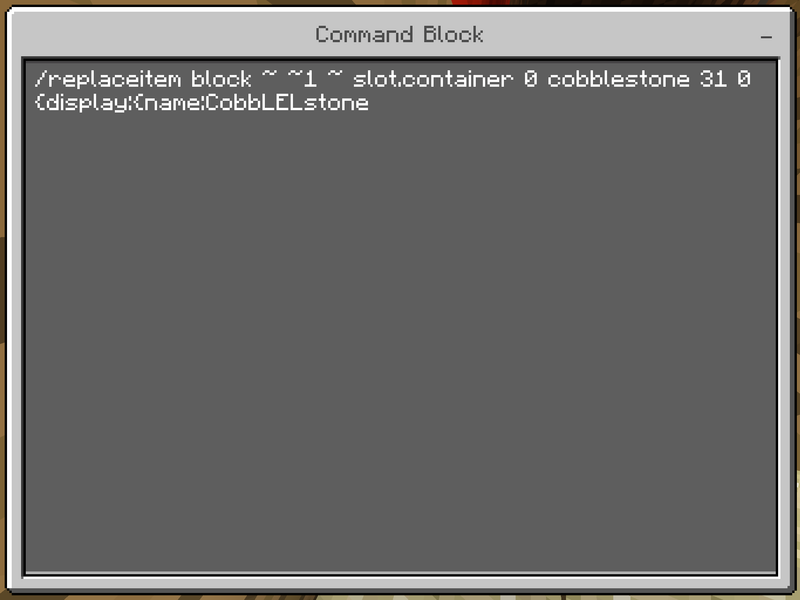 What do I put at the end of this command to rename it mcpe? I was entering this command and it is not working. I have looked at other sources and have found nothing helpful.Can you help explain what I have done wrong? It is the right block. 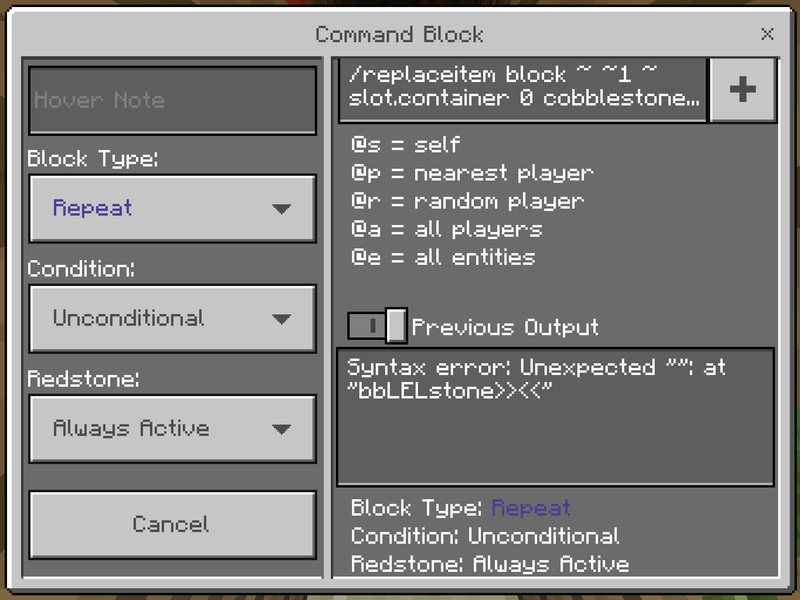 in a repeating always active command block. 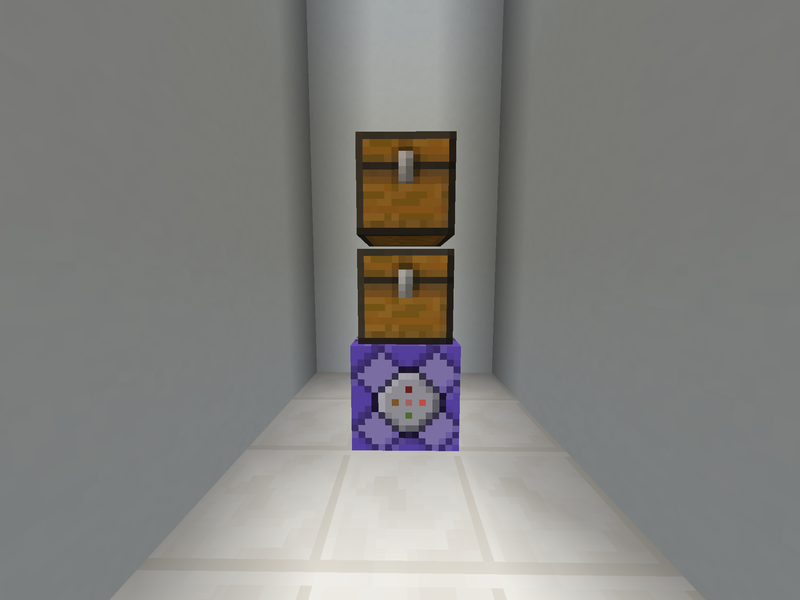 Put 31 cobblestone renamed “CobbLELstone” in the first chest (the one that is 1 block above the command block). Not the answer you're looking for? Browse other questions tagged minecraft-commands minecraft-pocket-edition or ask your own question. What is the problem with this command? Why is this command not working properly? What am I doing wrong with this /testfor command? 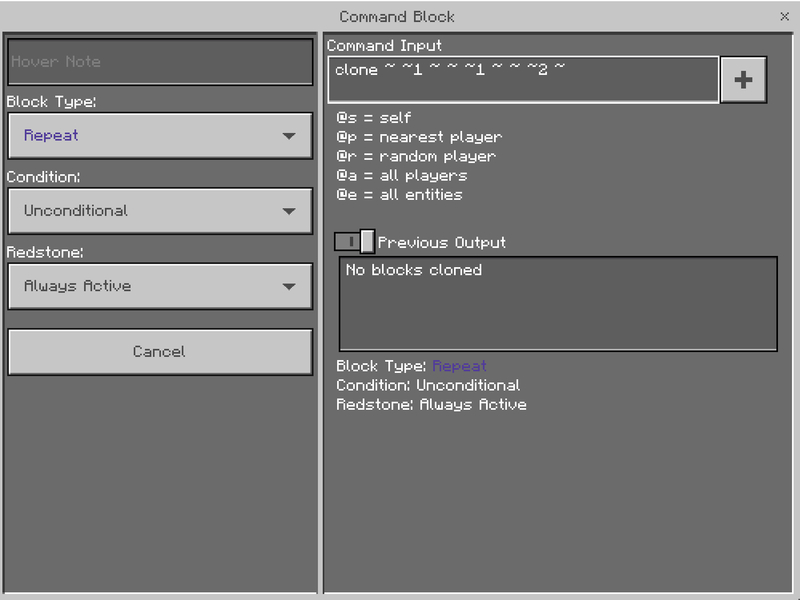 Why won't this execute if block command work in Minecraft?